Sell My House Fast Birmingham! We Can Help! We buy houses in Birmingham and around ALABAMA. Let us make a fair all-cash offer on your house. Need To Sell Your Birmingham Area House Fast? We Buy Houses Birmingham And Within This Area, And At Any Price. Check Out How Our Process Works. We’re Ready To Give You A Fair Offer For Your House. When it comes to selling your Birmingham house… one size does NOT fit all. Birmingham Homebuyers is the only local company that offers you- the seller SEVERAL OPTIONS to choose from when selling your real estate. We are a house buying company Birmingham. Talk to us today to get a fair cash offer for your Alabama home. If you are thinking “I need to sell my house fast Birmingham” – Then you need to talk to us! Stop the frustration of your unwanted property. Let us buy your ALABAMA house now, regardless of condition. We are the source for Cash For House Birmingham, Al. We’re a local company, and we’ve bought over 1500+ homes in the Birmingham Metro area over the past ten years, so we can make a fair offer fast. We buy houses Birmingham AL. 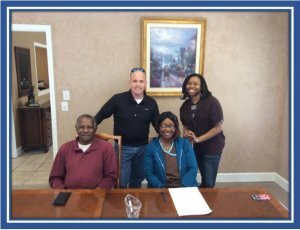 We buy houses for cash in Jefferson, Shelby, Blount, Tuscaloosa, Etowah, Chilton, Talladega Counties & other areas in Alabama. Click on BBB logo to see our reviews! Do You Need To Sell Your House in Birmingham? WE OFFER A HASSLE FREE PROCESS. (Sometimes selling a house through a real estate agent is not for everyone.) We are an answer to those that need to sell my house fast Birmingham. We’ll know very quickly if we can help you, and unlike selling through an agent, you don’t have to wait to see if the buyer can get financing… we’re ready to buy right now with CASH! We buy houses Birmingham and we can buy yours – we are a company that buys houses Birmingham AL. No matter what condition your house is in; no matter what situation or timeframe you’re facing… if you are thinking that you need to sell my house fast Birmingham – We are here to help! We help property owners just like you, in all kinds of situations. From divorce, foreclosure, the death of a family member, burdensome rental property, and all kinds of other situations. We buy houses Birmingham and surrounding areas and pay a fair cash price, fast. Sometimes, those who own property simply have lives that are too busy to take the time to do all of the things that typically need to be done to prepare a house to sell on the market… if that describes you, just let us know about the property you’d like to be rid of and sell your house fast for cash. If you don’t want the hassle of owning your house any longer, and if you don’t want to put up with time-consuming costs of selling your property the traditional way, let us know about the property you’d like to be rid of and sell your house fast for cash. Talk to someone in our office before submitting your property information by calling us today at 2056399366. Get cash for house Birmingham, get a fair fast offer & put an end to the need to sell my house fast Birmingham Alabama.